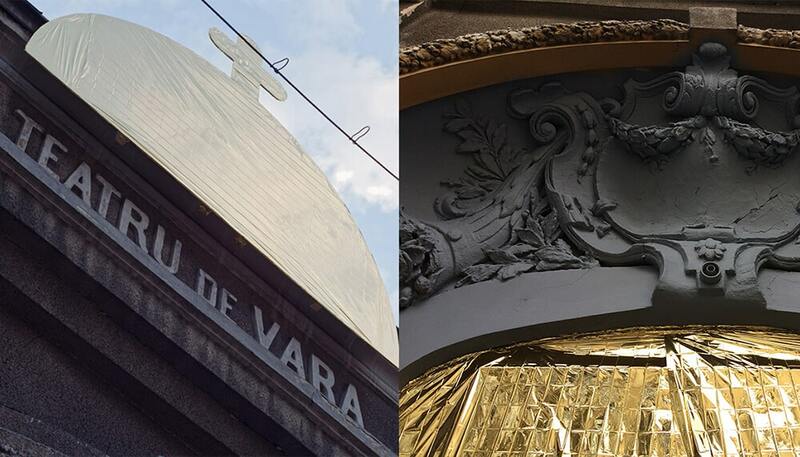 — Temporary intervention on the facade of decayed Capitol Theatre. 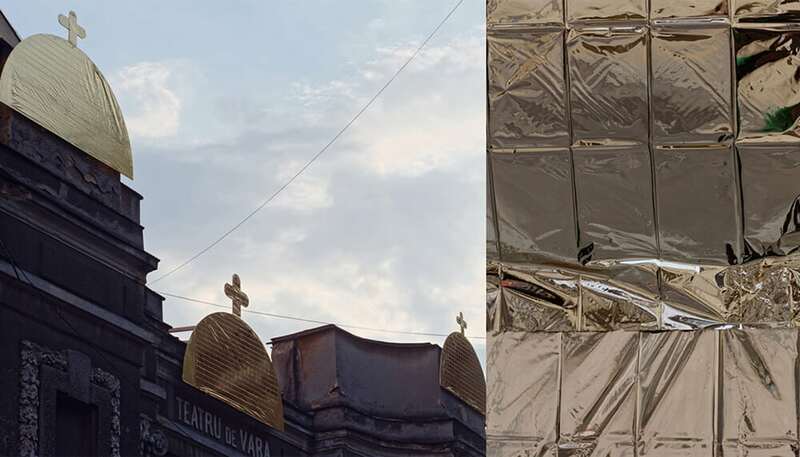 — What socio-political mechanisms allow the disintegration of the urban bodies, and determine them to become invisible in the collective memory? 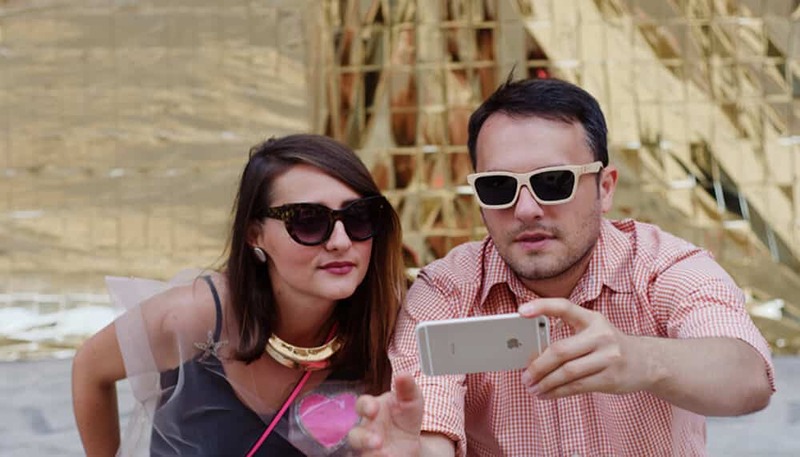 And what mechanisms could resuscitate those urban bodies from invisibility to their initial stamina? 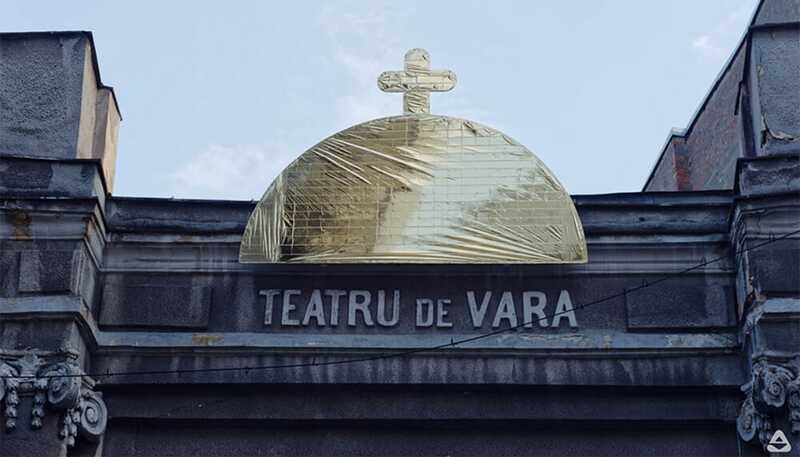 — The two aforesaid questions triggered the public art intervention created for the damaged façade of the Capitol Summer Theatre in Bucharest. 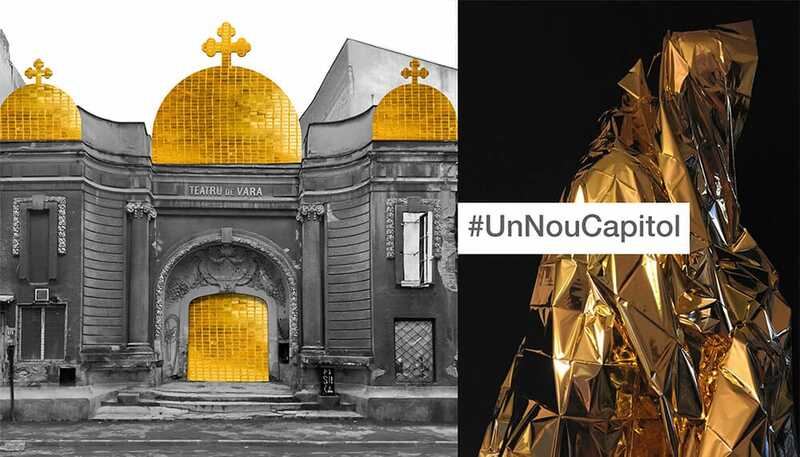 Entitled #UnNouCapitol (#aNewChapter), the intervention is a conflictual recontextualization of the building, using survival space blankets shaped as church golden domes. 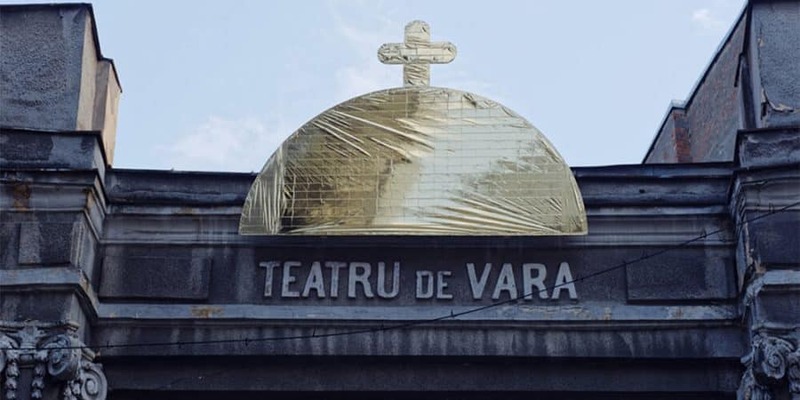 The intervention alludes to the unbalanced administrative methods to allocate public funds to new churches in Bucharest instead of investing in the restoration of the many deteriorated historical buildings and cultural venues. 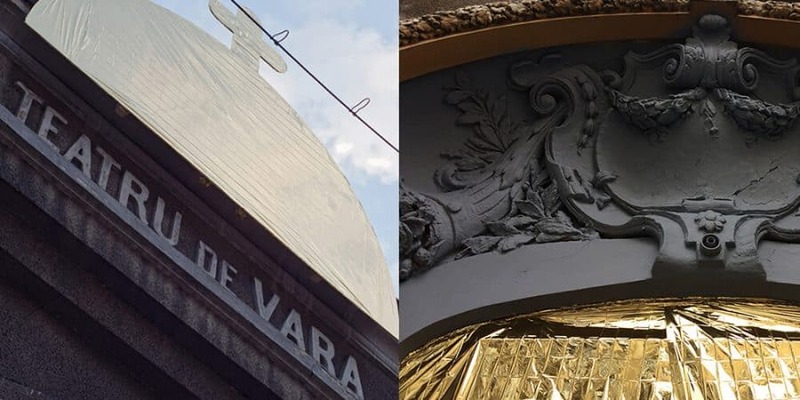 Moreover, the intervention questions the types of spirituality that can or cannot determine the collective consciousness to react at the real social necessities.